The WMO/UNEP Intergovernmental Panel on Climate Change (IPCC) has just approved for release a technical Paper on Climate Change and Water, the first report of its kind on the evolution of Earth's freshwater resources in the face of climate change. In line with previous IPCC reports, the current report is based on a consensus between the many contributors and offers a detailed account of the wide-ranging implications climate change will have on the global hydrologic system in the future. 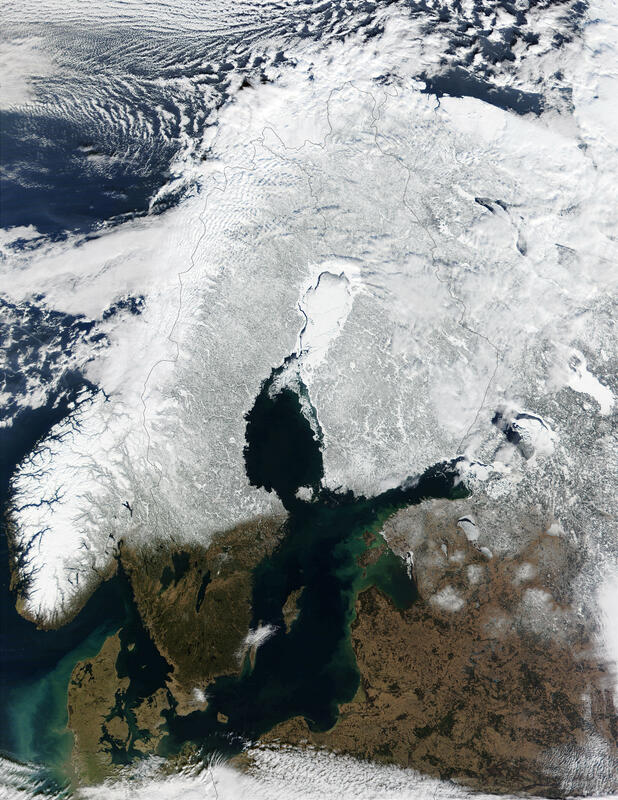 Over the past century, the northern latitudes have witnessed an increase in precipitation. It is envisioned by the current report that this trend is likely to continue throughout the 21st century and that it will be accompanied by an increase in annual average river runoff into the Arctic Ocean. This will have implications on both the fresh water balance in the Arctic Ocean and the global ocean circulation. Vladimir Ryabinin, Senior Scientific Officer of the Joint Planning Staff for the World Climate Research Programme (WCRP) has shared comments with SciencePoles. In his view, the Technical Paper will be a very useful resource for decision makers because it focuses on the impacts of climate change in terms of fresh water reserves, it raises the risks and vulnerabilities which are associated with these impacts and discusses the need for adaptation and mitigation measures in terms of water resources. However, Ryabinin finds the report to be a bit conservative when it comes to analysing the gaps in understanding and the needs for further observation and scientific research in the high latitudes, such as the Arctic. "Although I agree with all which is stated in this paper, I would like to point out that the Arctic is a very complicated system to study and in order to predict climate in a more comprehensive way, we need to take into account the many complex feedbacks associated with the carbon cycle, water and energy balance." So far, these complexities have not been integrated, and the gaps in knowledge actually go beyond what is listed this report. Not only are such obvious elements like the reduced data network and the errors associated with the increased use of automatic weather stations a matter of complication, other elements, specific to the Arctic region also need to be considered when analysing and predicting the region's hydrologic system. "Many uncertainties remain when studying the Arctic. They relate to measurement and modelling of solid precipitation, several processes affecting carbon cycle such as methane released from thawing permafrost, changing vegetation and surface geomorphology, risks associated with methane clathrates, and many other factors that we do not yet fully understand or model. So far, despite the fact that the Arctic has experienced an accelerated rate of warming, and that it is predicted to warm even faster than the rest of the globe, errors in datasets describing the state of the polar climate system such as errors in the existing meteorological reanalyses are rather high in the Polar Regions." The Climate Change and Water report reflects very well what the current science tells us about the Earth's freshwater resources and future evolution. However, it is important to remember that climate science is developing and that some findings are likely to be refined. A new Report, the Assessment of Global Precipitation, will be published by the World Meteorological Organization in a matter of weeks. It is based on the known findings of the WCRP. However, even this assessment will accept that we do not know much about the trends of water cycle in the Polar Regions and that further work will be required to address the currently existing uncertainties. "The Technical Paper will be a very useful resource for decision makers."